Cute playful grey cat leaning out. Domestic animals. 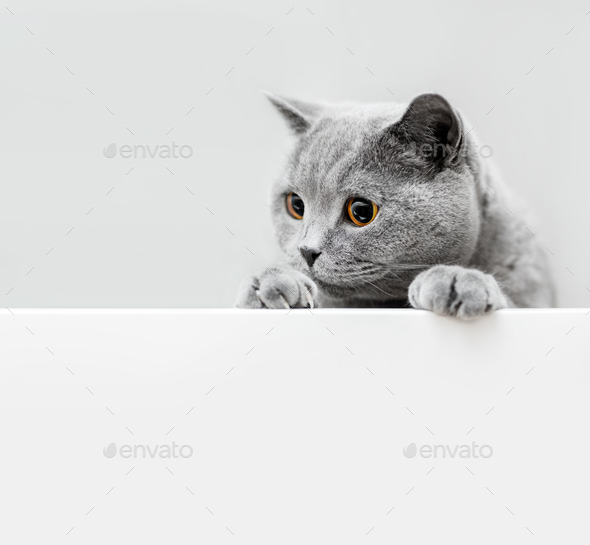 British shorthair cat.